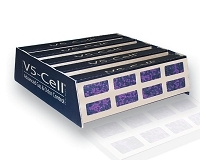 If you purchased your CB-VOC-SB or CB-VOC-SC Multipure system from us, this cartridge will fit. The CBTVOC was previously known as the MPPTCB. PLEASE DO NOT ORDER THIS ITEM IF YOU ARE UNSURE OF THE CORRECT PART NUMBER. If there is any question, please call, e-mail, fax or chat with us before ordering. Before ordering: Please be sure to verify the exact model number listed on the stainless steel housing label. CB Tech makes several replacement cartridges that are NOT interchangeable due to differences in the housing size/design. If your system is part of the CB Tech MP Series sold through independent distributors, you will need to contact CB Tech directly at 800-622-9206 to order the correct replacement cartridge. 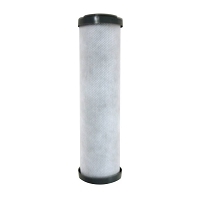 I have had my Water Filter system for years and I replace this filter cartridge one time a year. It is an excellent filter and lasts the entire year without fail. Great product and auto shipping annually is super easy and a great reminder. 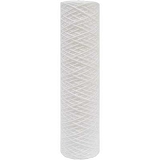 The Multipure replacement water filter cartridge (CBTVOC) was easy to install because the directions are clear. Better yet, the filter adds a pleasantly fresh taste to our water. I have been using this filter system for the last four years and am completely satisfied with the water quality that comes out of my faucet. At work we have a purified water system but the water from my house tastes much better than at work! 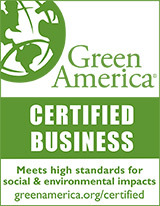 We use the filtered water for cooking too and our food has better flavor than if we just used unfiltered city water. Usually regular water fizzes and bubbles as it comes out of the tap and into your glass - as if it was beer. The water from the mutipure filter comes out clear, haze free and bubble/fizz free. 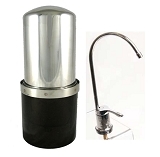 The system is also easy to maintain and is very sanitary due to the food grade stainless steel construction build. I have a family of four and the filter lasts us a year. Filter change is very easy and all securement hardware makes for a leak free installation. I do not see the reason I will be switching away from the multipure system anytime soon. Thank for the quality service that I received when I called. Thank you for the discount also. Perfect fit. Great on phone service. Easy on line orders. Very happy with purchase . This filter and water filtration system are great! The filters last quite some time, the water tastes much better and I was able to replace the filter without difficulty! I have used these filter cartriges for some years now and am very happy with them. I also give them to my kids. I have been using these filters for years and I am always amazed how brown they become after only a few months! I would not live without them. Literally. 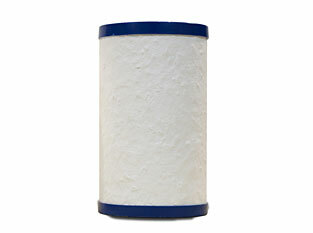 The filter is excellent, lives up to all positive reviews hand high test ratings. We have never taken it for granted because our water is so reliability tasty and sparkling clear, but we have renewed appreciation in light of water crises around the country and here in Portland. Very nice filter system, high quality, should last for ever, we replace the filter annually, taste great. All I can say is that when I see how brown and nasty the old filter is I'm very happy to be installing a new one. I love my filter system. Great service. Very satisfied. No problems getting the replacement filter installed. All seems to be working well. Thanks for asking.